The Washington, D.C., appellate court upheld a U.S. district judge, who in 2014 overruled the U.S. Fish and Wildlife Service's determination that the wolves had sufficiently recovered from decades of shooting, trapping and poisoning. The gray wolf population in Michigan, Minnesota and Wisconsin now totals about 3,800. In 2011, Fish and Wildlife officials said the recovery was sufficient to strip away the endangered status and to put the states in charge of management of the species. But a three-judge panel of the U.S. 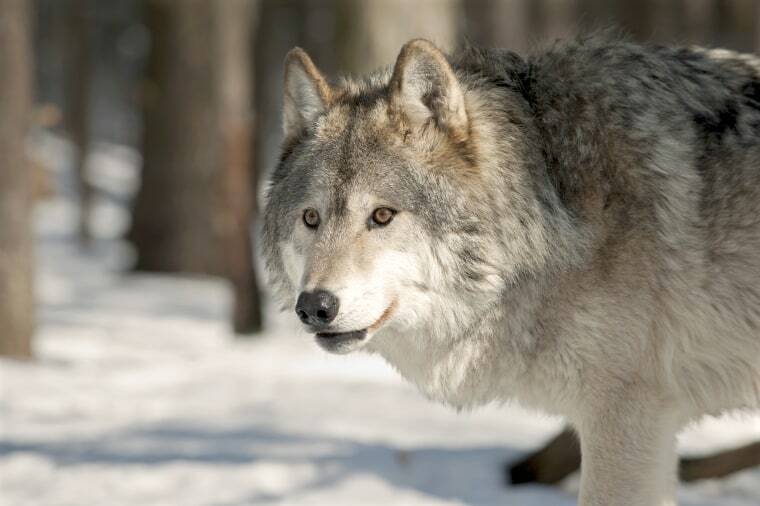 Circuit Court of Appeals in Washington, D.C., said the service had not adequately considered a number of factors, including loss of the wolf's historical range and how its de-listing would affect the predator's recovery in other areas, such as New England, North Dakota and South Dakota. Under the ruling, hunting and trapping of gray wolves may no longer be permitted by Michigan, Minnesota and Wisconsin. Federal officials have for several years been trying to lessen their supervision of the species and to turn control over to the states, but the government and courts have not established a single, nationwide policy. Tuesday's court ruling takes a different approach than the same D.C. appellate court took in March, when it agreed that gray wolves in the state of Wyoming could be removed from the endangered list and come under management by the state. A Wyoming management plan allows for the wolves to be shot on sight across most of the state. That action came after gray wolves made a remarkable comeback in Wyoming, and across the West. The Fish and Wildlife Service reintroduced the predators into Yellowstone National Park in 1995. They soon spread across much of the Norther Rocky Mountains. That led to the federal de-listing of the wolves in Montana, Idaho and parts of Washington, Oregon and Utah.But the protected status of the wolves in Wyoming has changed multiple times in recent years. They remained on the endangered species list until 2012, then came under state management, only to be returned to the federal endangered species list in 2014, following a lawsuit by environmental groups. The Washington appellate court lifted the federal protection this March.